I was born with genetic hearing loss and started wearing hearing aids as a baby. But I was bullied and at the age of 13 thought that if I removed them, I’d somehow remove the disability. Then, two years ago, my younger brother had to have an operation to get a cochlear implant and I decided that I needed to be a role model to give him someone to look up to. Rather than hiding my hearing loss, I started to embrace it, so that he wouldn’t feel ashamed of his. 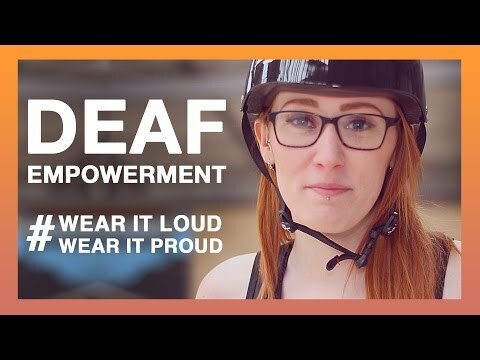 With Fixers, I want to make others realise that hearing loss is not something you can change – it’s better to make it a part of your identity and be proud of yourself. Heather Gray, Director of the organisation, supports my Fixers project. She agreed to be interviewed to appear in my broadcast piece.